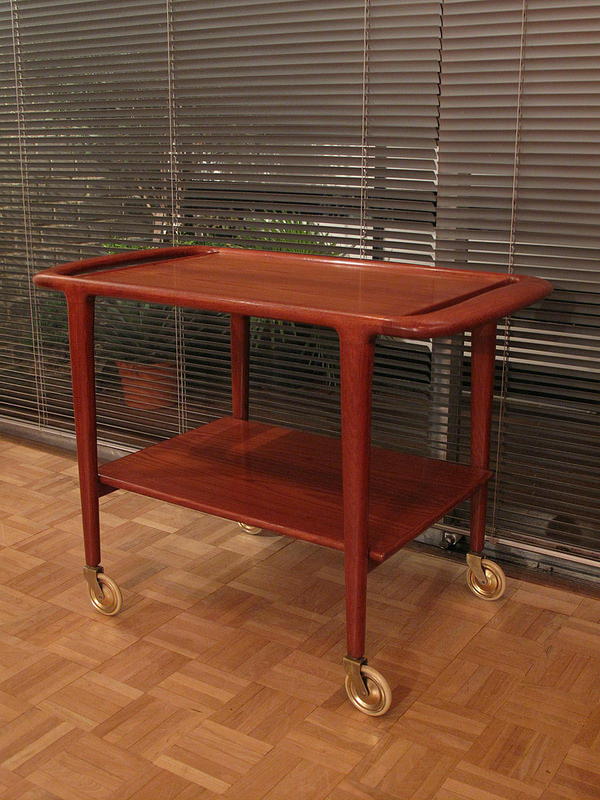 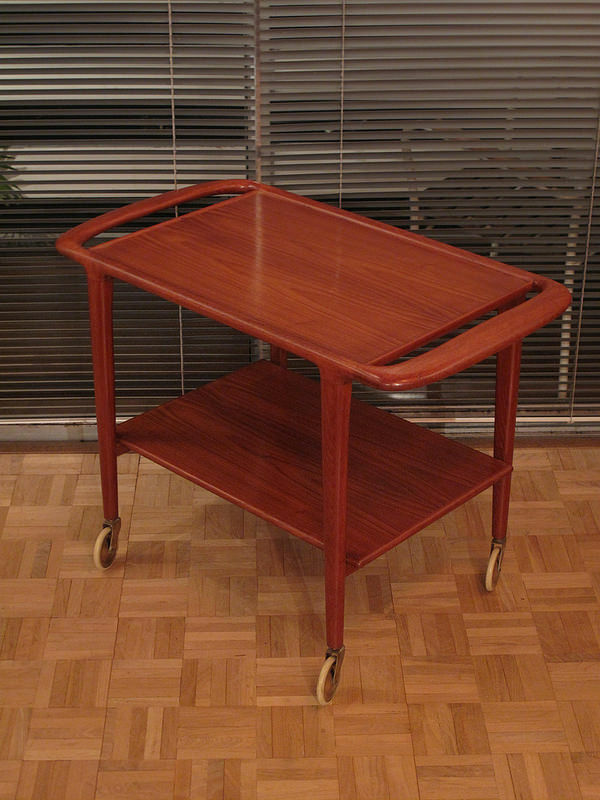 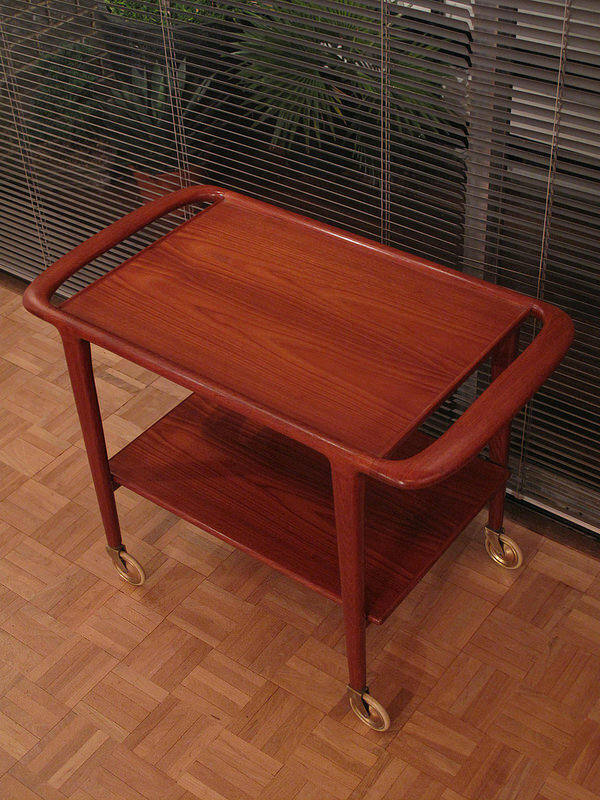 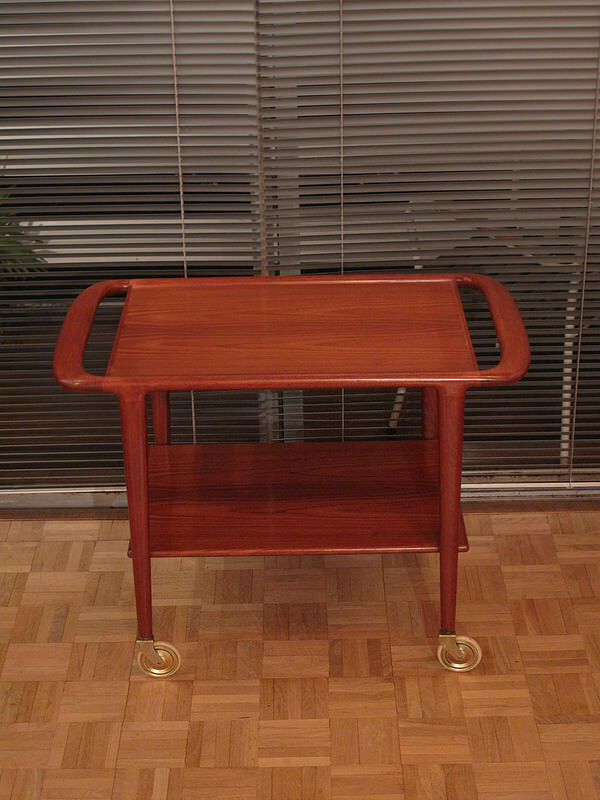 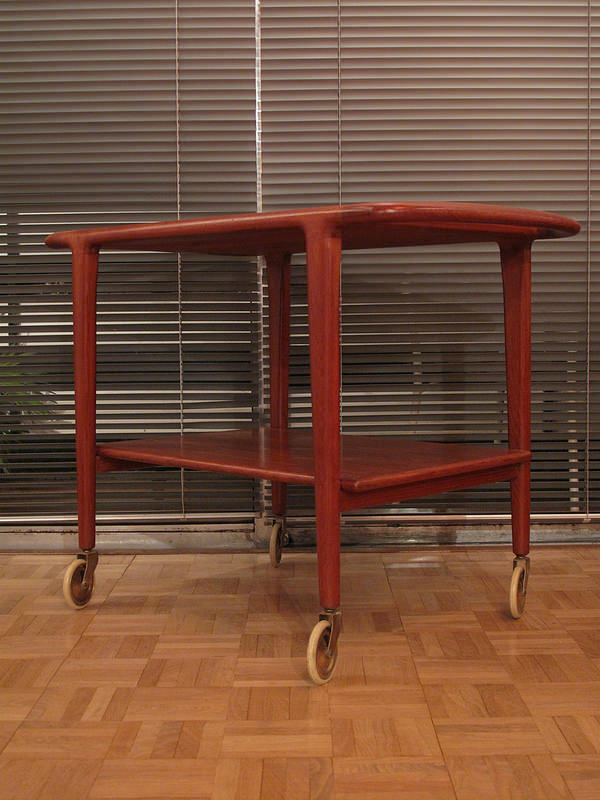 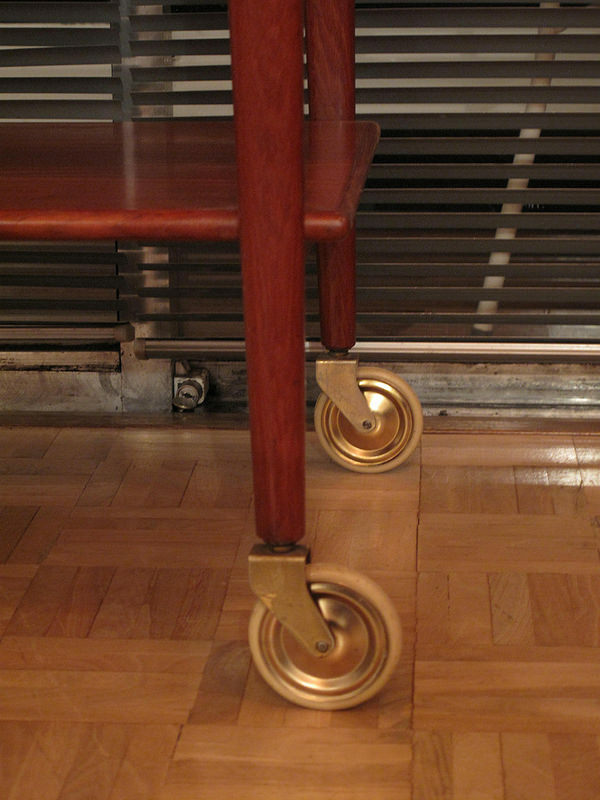 Very very hard to find bar cart designed by Niels Moller in 1959. 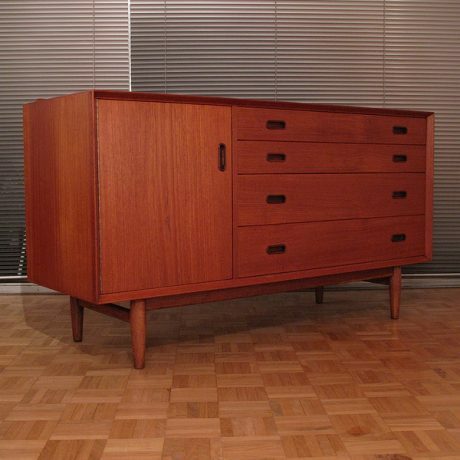 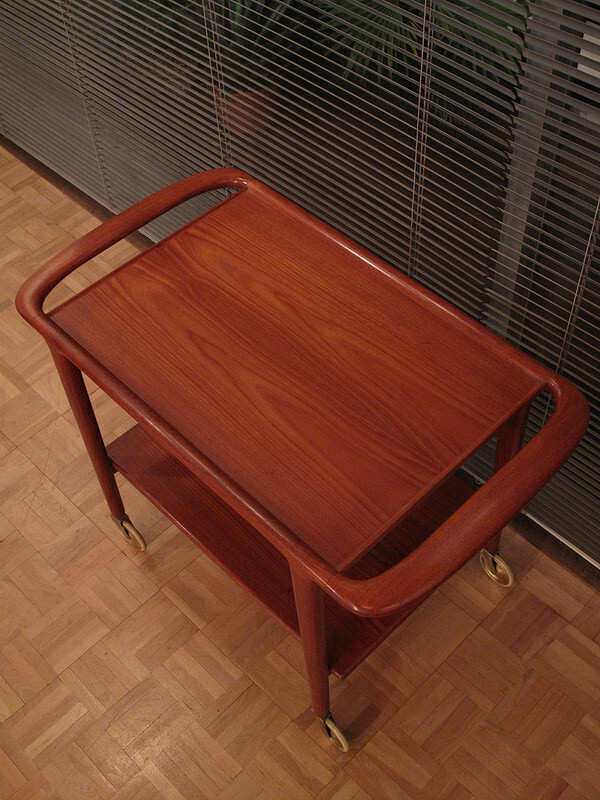 Produced by J L Moller Mobelfabrik this example is executed in teak and bears an early production mark. 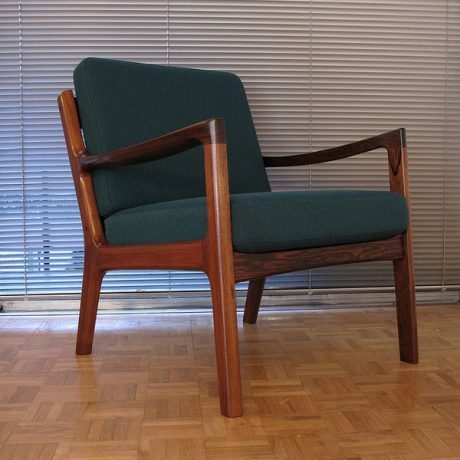 The quality is outstanding as you would expect from a Moller product. 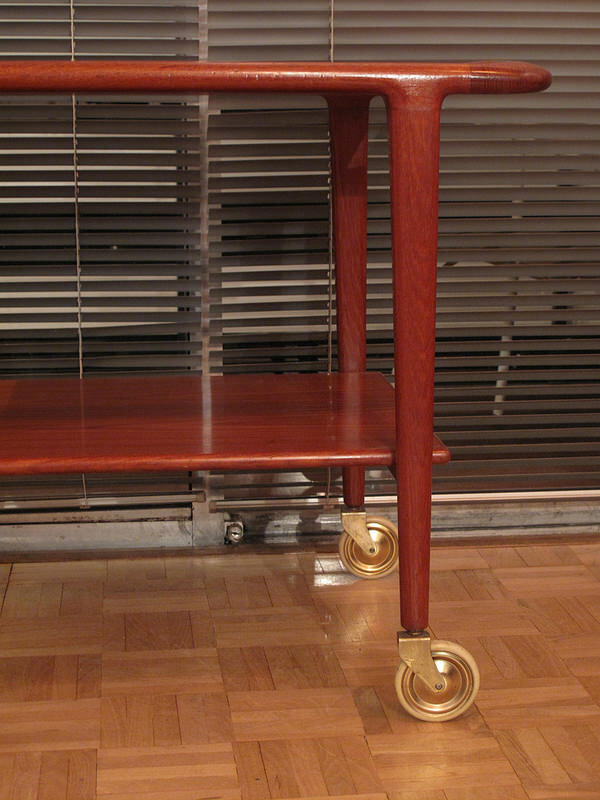 An incredibly graceful design and very functional too, it can be used as a very attractive side table or hall table if not loaded with bottles in the dining room. 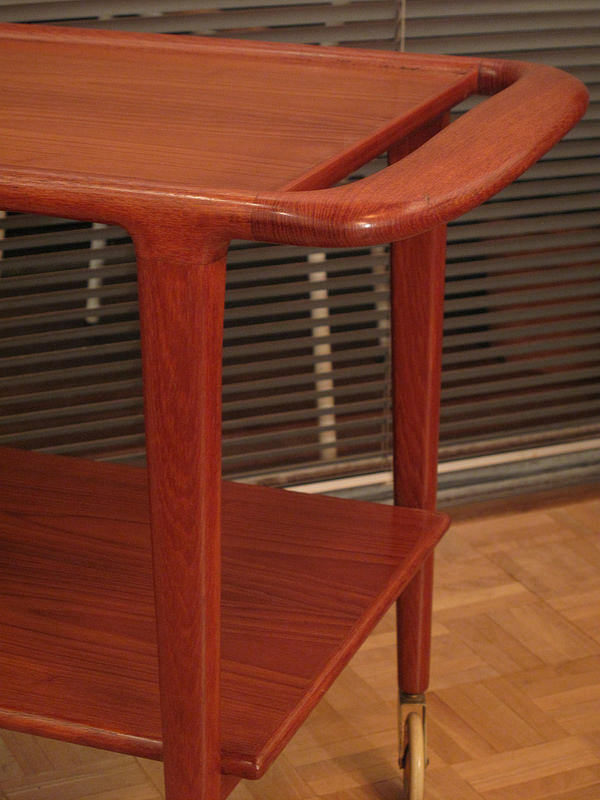 The condition of this example is beautiful. 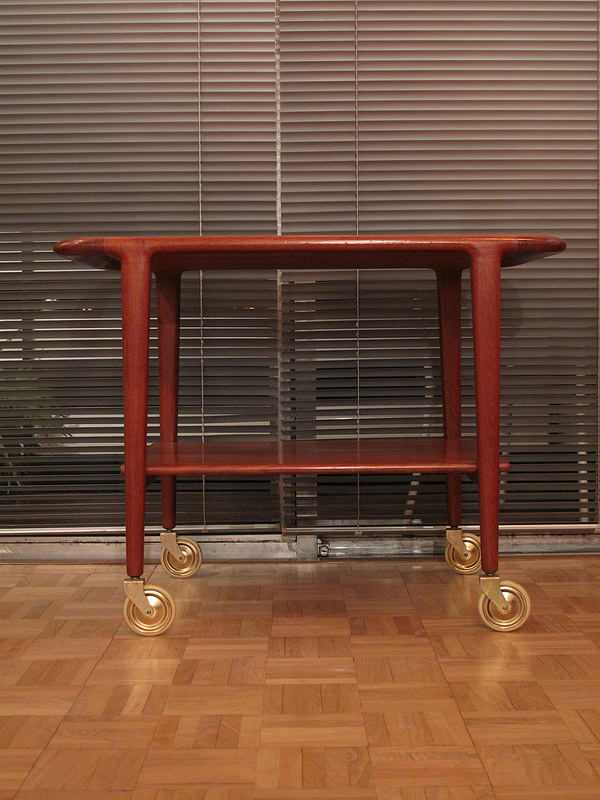 DIMENSIONS: 81cm Long x 45 Wide x 61.5 High.